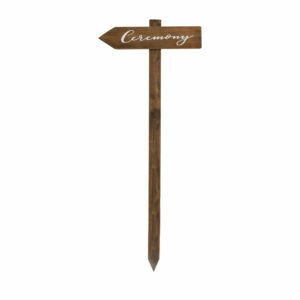 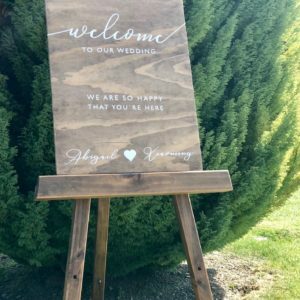 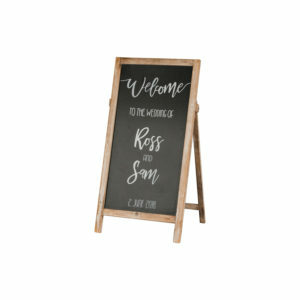 Our portrait welcome sign is a lovely addition to your ceremony or reception. 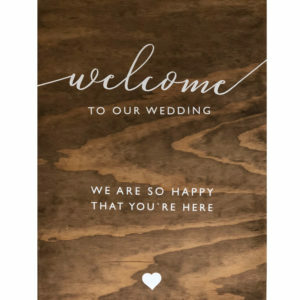 The sign reads "WELCOME to our wedding. 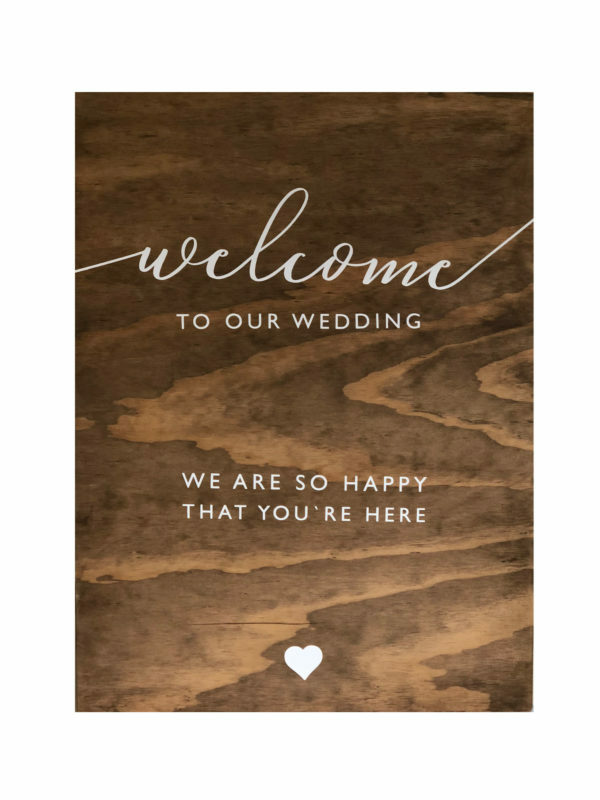 We are so glad you are here." 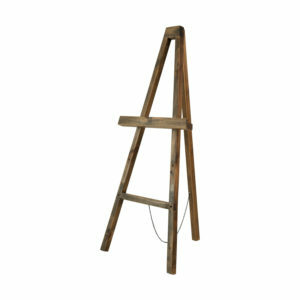 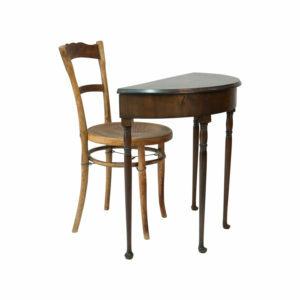 Pair this with our wooden easel in a matching style for a beautiful and stylish entranceway.